Introduced with the Samsung Galaxy S9 and S9+, AR Emojis are a new feature build into your phone’s camera app. 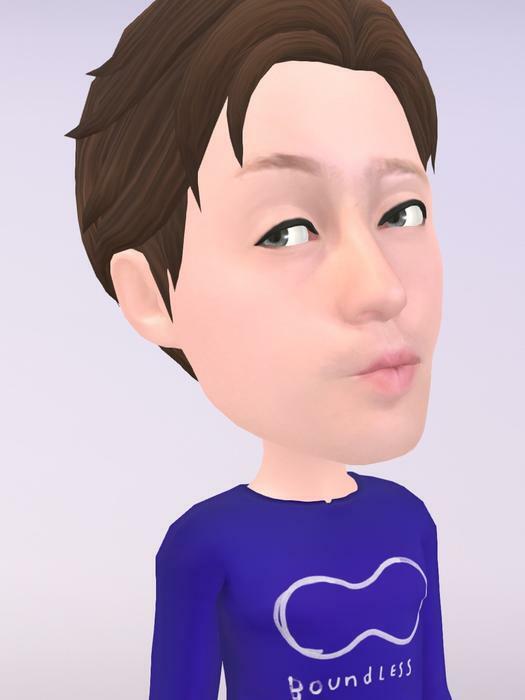 Once set up, they allow you to create a 3D animated version of yourself and send customized emojis featuring that avatar to friends and followers via social media. How do you create an AR Emoji? Creating your own AR Emoji is as simple as opening up the Galaxy S9’s camera app and swiping to the tab labelled ‘AR Emoji’. You can do this on both the device’s rear and front-facing cameras. If you’re trying to create an AR Emoji for yourself, you’ll probably want to use the latter. However, if you’re trying to show off the feature to your friends, the rear-camera might work better. Once the camera on the S9 detects a human face, all you have to do is smile and hit the ‘Create My Emoji’ button. A circle will appear around your face (on the screen), with an progress bar filling the outline of it. It should only take a few seconds to fill and then you’ll be shown an initial preview of your AR Emoji. The next step is to choose your AR Emoji’s gender, then you’ll be given the ability to customize your AR Emoji’s hair, clothes, and accessories. The last thing you need to do here is hit the save button, and you’re good to go. Congratulations! You’ve just created your first AR Emoji. How do I view saved AR Emojis? Viewing your saved AR Emojis can be done either through the camera or the Gallery app on your Samsung Galaxy S9 and Galaxy S9+. Can I create an AR Emoji on my Samsung Galaxy S6, S7, S8 or Note 8? No. 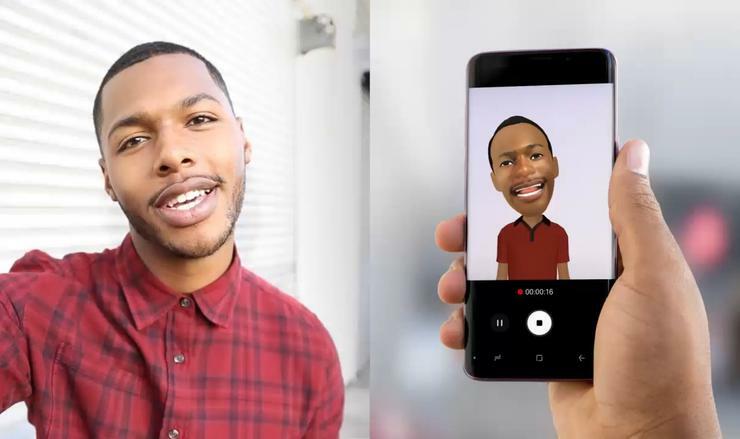 Unfortunately, creating AR Emojis is something that is are currently only available to owners and users of the Samsung Galaxy S9 and S9+. However, that said, you could easily transfer the .gif files for the animations manually and then use them on a non-Samsung handset that way. How do I take videos with my AR Emoji? Taking videos with your AR Emoji is just as easy as taking photos of it. 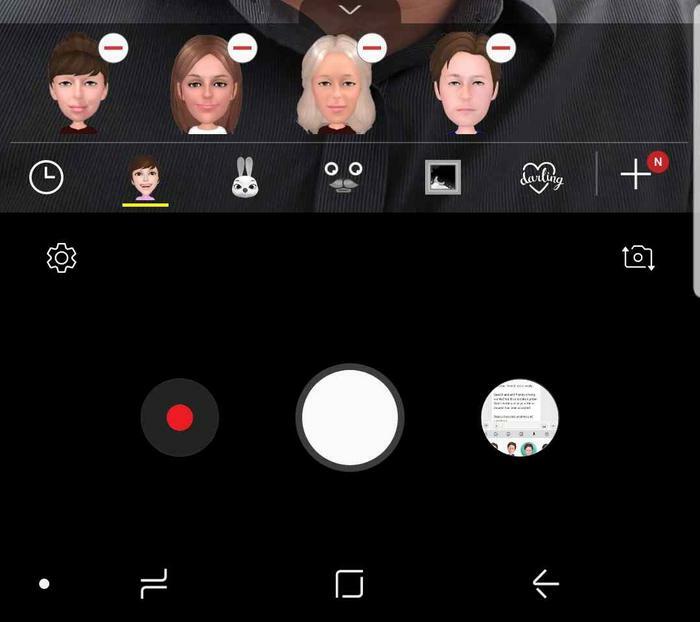 Simply swipe to the AR Emoji tab on either the front-facing or rear camera and then tap the recording button, just as you would with the camera ordinarily. How many AR Emojis can I create? There’s no real limit to how many AR Emojis you can create. That said, Samsung have indicated to us that the phone’s camera can only load about 100 AR Emojis at a time. It’s also possible that your phone might not allow you to create additional AR Emojis if you don’t have any storage space left. How do I delete an AR Emoji? Deleting your AR Emoji is as simple as opening the camera app on your Galaxy S9 or S9+, swiping to the AR Emoji tab. Then, all that’s left to do is tap and hold on the AR Emoji you want to delete. After a moment, a small minus (‘-’) icon will appear on each of your AR Emojis. Tap on the one you want to delete and hit yes on the confirmation pop-up box and it will be erased. Doing this will also delete all the relevant AR Emoji stickers and gifs but not any custom video or image content you’ve created using that AR Emoji. What messaging apps support AR Emoji stickers? Samsung’s AR Emoji stickers are integrated pretty well into their Samsung Keyboard plugin, which is the default keyboard on the Samsung Galaxy S9 and S9+. This means that, theoretically, any messaging app that supports sending gifs or stickers should be able to make use of the Galaxy S9’s AR Emojis. Most, if not all, the major players support this, including Facebook Messenger, WhatsApp, Skype, Vibr, LINE, WeChat and Google Hangouts. How many AR Emoji Stickers are there? At present, there are eighteen animated AR Emoji stickers. This includes all the usual expressions like laughing, crying, thinking or smiling. See below for a preview of what each emoji looks like. It's unclear whether or not Samsung will add to this over time via future software updates for the feature.